Liz graduated from the University of Liverpool Dental Hospital in 1996. She then went on to complete her vocational training in general practice and continued as an Associate Dentist, undertaking general and cosmetic dentistry both in the NHS and privately before setting up Lingley Road Dental Surgery in 2004, where she is now the Principal Dentist.In 2005, Liz completed the Advanced Restorative Course with Dr Paul Tipton in Manchester, acquiring the skills to provide all aspects of cosmetic dentistry to a high standard. In 2006, she was approved as a Dental Vocational Trainer giving her the skills to help with the training of Vocational Dentists starting in general dental practice. In 2015, Liz completed the Botox® and Dermal Filler course with Tipton Training to acquire the skills necessary to provide the treatment for facial aesthetics. 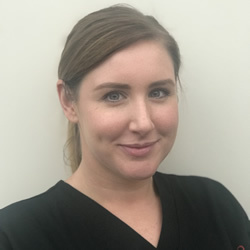 As well as attending regular postgraduate dental courses, Liz makes it a priority to stay up to date with continuing education to ensure that her patients receive the best possible dental care. She has a very keen interest in restorative and cosmetic dentistry and also treating nervous patients. She has made it her priority to provide highly equipped surgeries, to provide the best equipment and facilities for our patients. She is also a member of the British Dental Association, and the British Dental Health Foundation. In her spare time she loves to be outdoors and go on walks, has a love of travel and also spending time with family and friends. Her two beautiful nieces play a large part in her life! 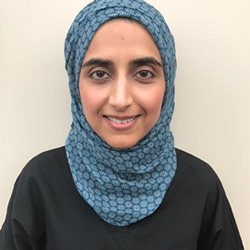 Navida has a broad base of experience having spent many years in general practice, undertaking general and cosmetic dentistry both in the NHS and on a private basis.Navida has a special interest in oral surgery which has developed after working in a hospital Oral Surgery department. 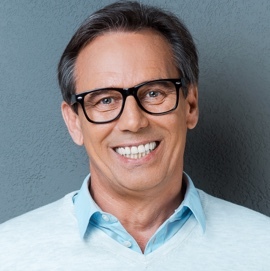 As a result of this experience, she is able to remove wisdom teeth and perform minor surgical procedures and tooth extractions at the practice. Navida has a strong interest in endodontic treatment (root canal) and has recently completed further training in this. She has acquired the skills necessary to complete this to a high standard and takes in-house root canal referrals from colleagues on a regular basis. In her spare time, Navida is kept very busy with her three young sons. Dr Anisa Qayyum BDS Sheff (2014) GDC: 252271. 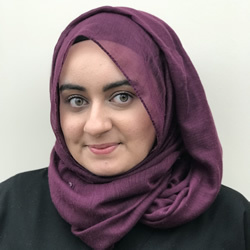 Anisa completed her Foundation Training in Manchester, and joined Lingley Road Dental Surgery in January 2016. Anisa was a patient here as a child and has now returned to repay the favour! Anisa has a very keen interest in paediatric dentistry and loves treating children. Her interests include cooking and spending time with her two beautiful nieces. 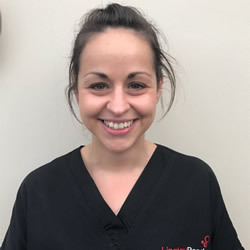 Justine is our Dental Hygienist and she has worked at Lingley Road Dental Surgery for 12 years. 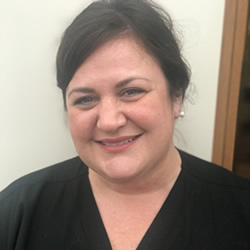 After working as a Dental Nurse for 5 years she qualified from Liverpool Dental Hospital in 1992 and has extensive experience as a Dental Hygienist working in both general practice and hospital roles at Alder Hey and Liverpool Dental Hospital. She has continued her post qualification education by gaining the Diploma in Radiography and Dental Health Education.Justine has a commitment to providing treatment in a relaxed and friendly environment and has a special interest in providing treatment for nervous and phobic patients which has led her to taking a Diploma (Advanced) in Cognitive Behavioural Therapy. Dawn has been qualified as a Dental Nurse for 24 years, gaining the National Certificate in Dental Nursing in 1994, and then registering as a fully qualified Dental Nurse in 2008. She also has an NVQ Level 3 in Customer Services. 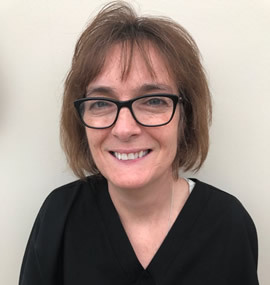 Every year in order to maintain Dental Nurse registration, Dawn has achieved a certain number of learning skills in various aspects, medical emergencies, radiography and cross infection.Dawn has worked at Lingley Road Dental Surgery for 13 years and during this time has had 2 daughters and now works on a part-time basis. She loves the usual shopping and socialising with friends, and also helping at her youngest daughter’s school when needed to assist with reading and school day trips. 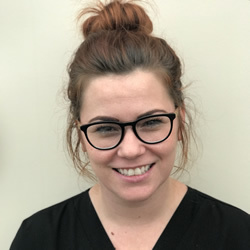 Hayley completed her NVQ Level 3 in Oral Health Care in 2008 and in 2009 she joined the team at Lingley Road Dental Surgery. 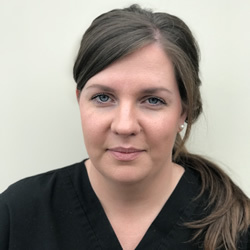 She has a keen interest in radiography and oral surgery and hopes to complete further qualifications in these areas in the near future.Hayley has primarily been given the role of Head Receptionist, due to her vast knowledge and experience in dealing with all reception duties. Hayley has a young daughter who she enjoys spending all her spare time with. Natalie qualified from Liverpool Dental Hospital in 2010. She has been a member of the team at Lingley Road Dental Surgery since then. Natalie enjoys all aspects of dentistry, especially working with children and nervous patients, as she feels this is very rewarding. Natalie is a mum to two young children and enjoys spending her free time with her family. Amy qualified in 2008 at a previous practice before coming to join us at Lingley Road Dental Surgery in 2012.Amy has a keen interest in cross infection and has successfully completed a post-qualification in decontamination; she now holds the role of Practice Lead Decontamination Nurse and keeps us all up to date on any new developments relating to cross infection. Amy has two young children and is 1/3 of the close harmony trio “The Nylon Hearts”. Dawn qualified as a Dental Nurse in 2009. 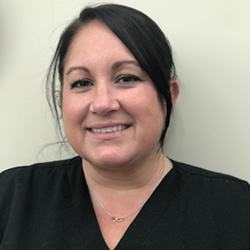 She has over 10 years experience and has held positions at several different practices before coming to join us at Lingley Road Dental Surgery in 2014. She is currently continuing her professional development by taking her post-qualification to become an Oral Health Educator. In her spare time Dawn is kept busy with her 3 small children.